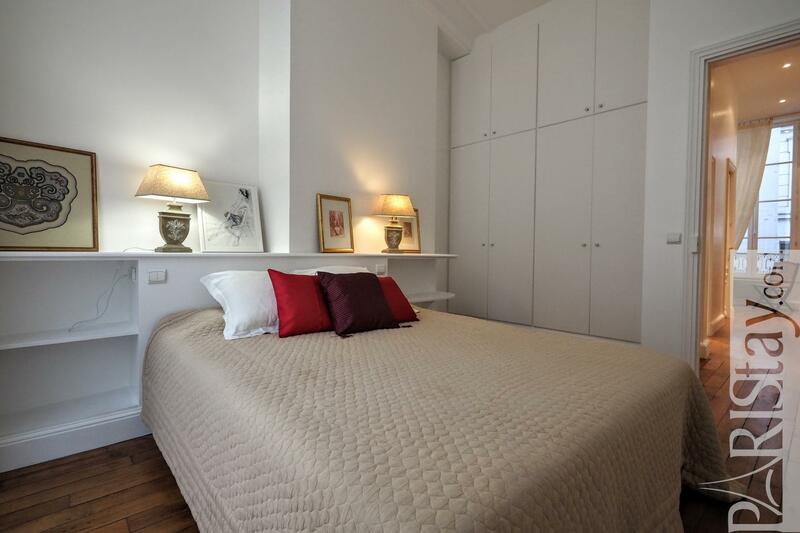 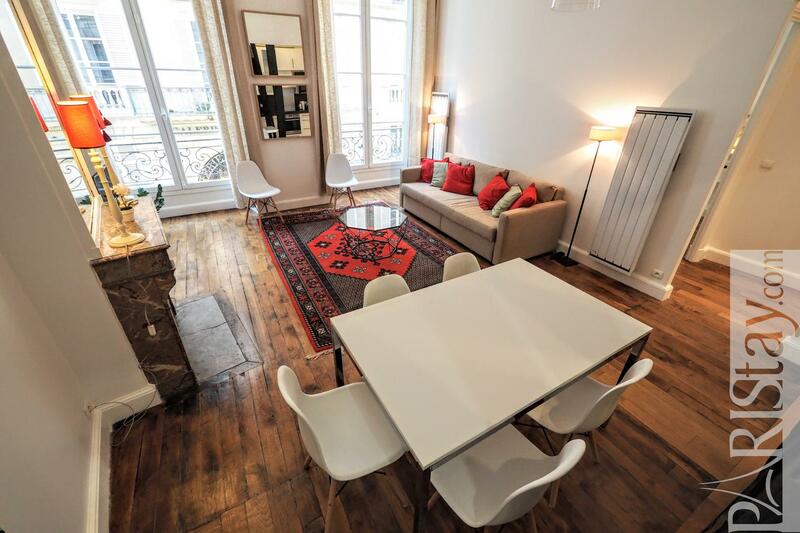 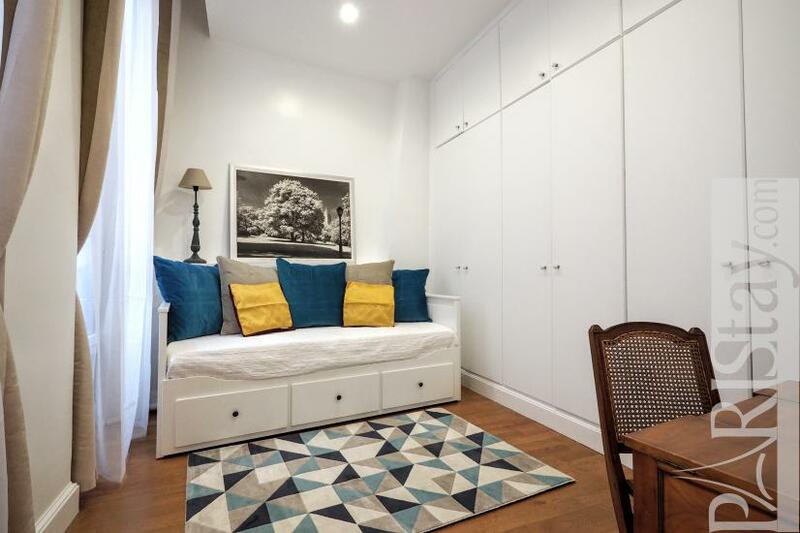 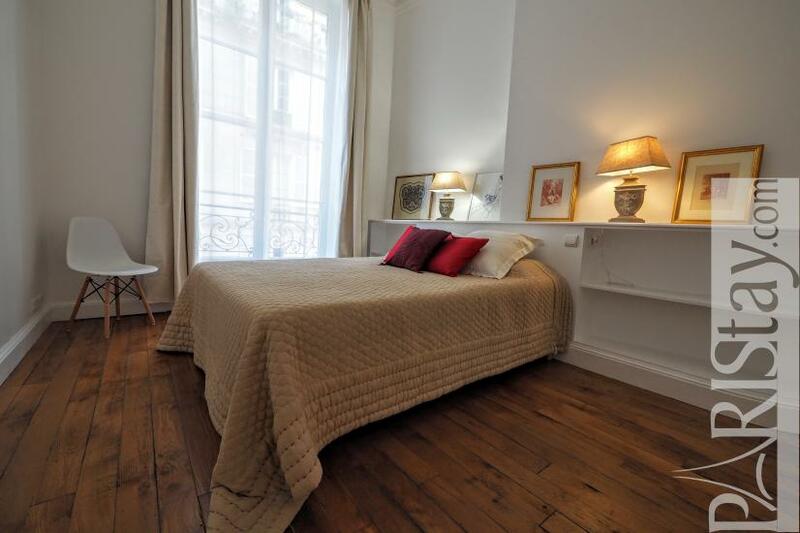 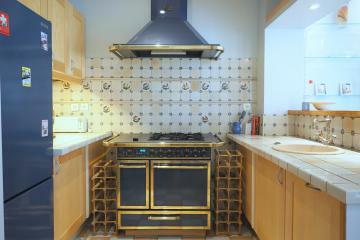 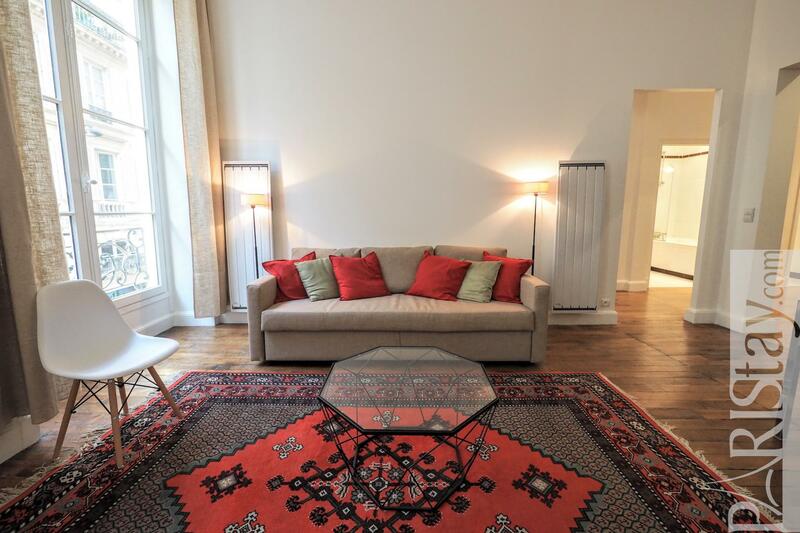 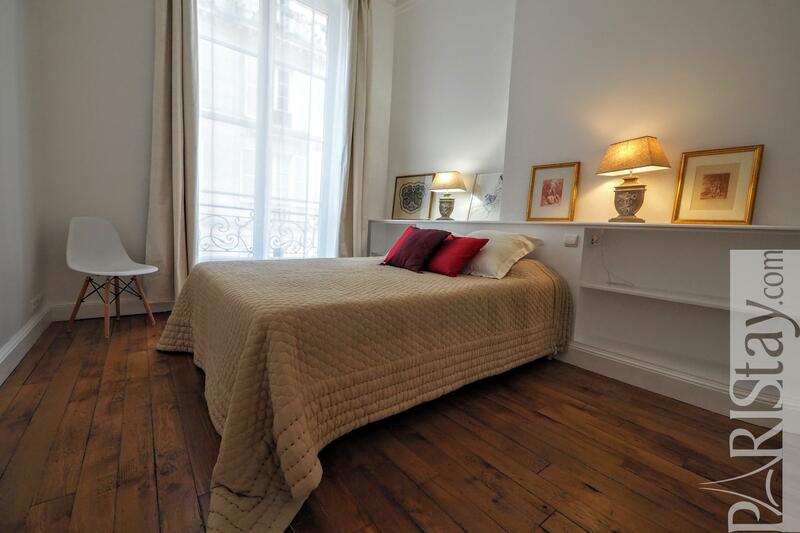 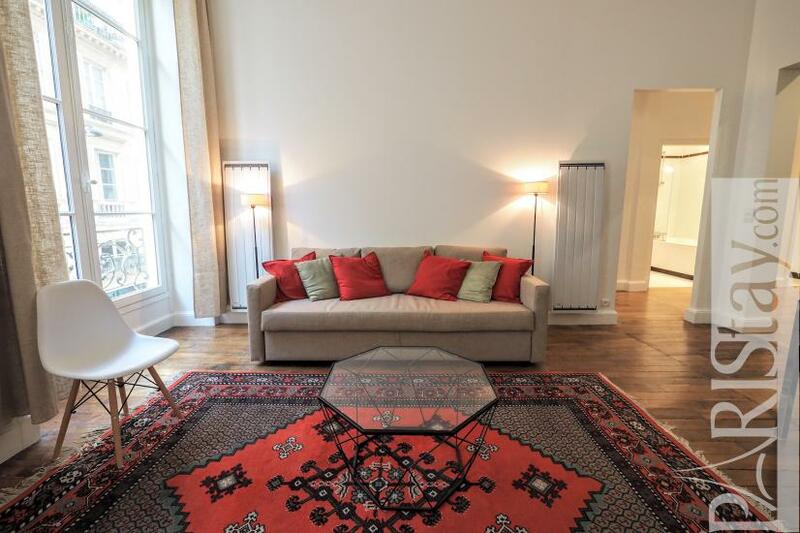 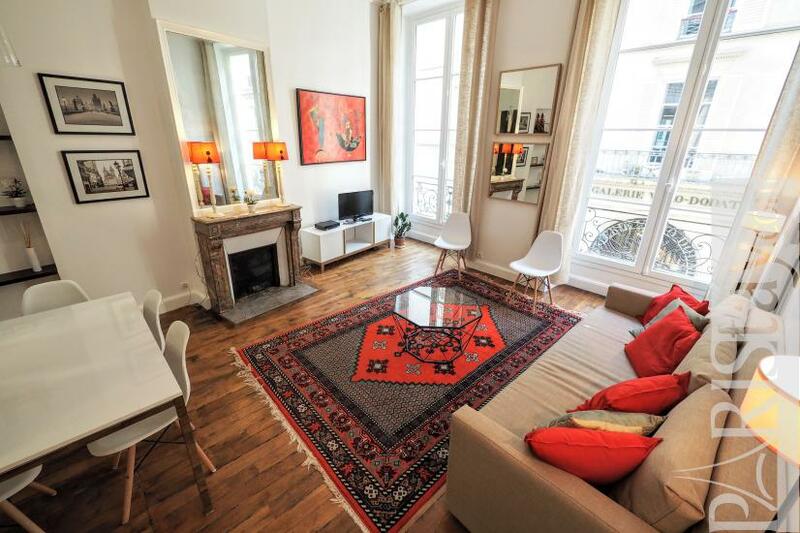 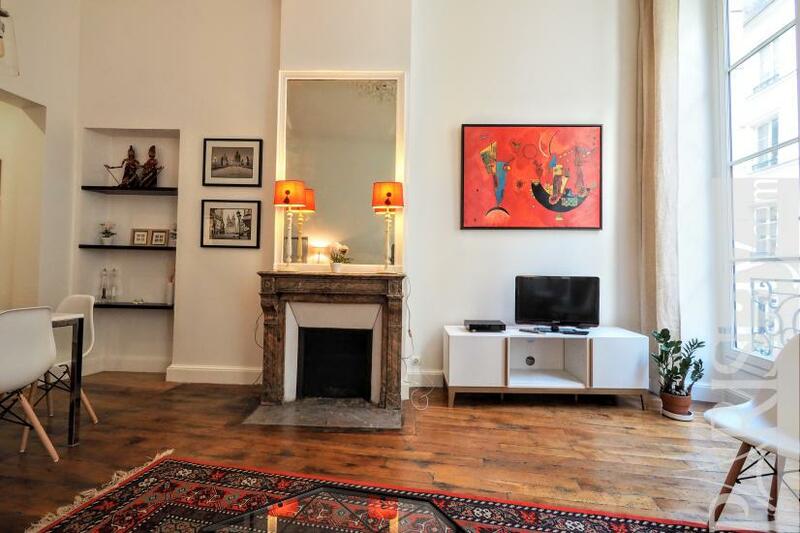 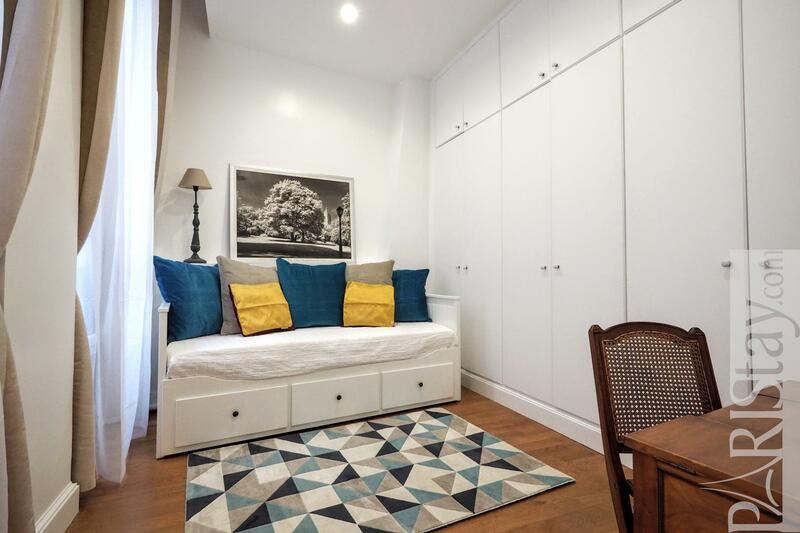 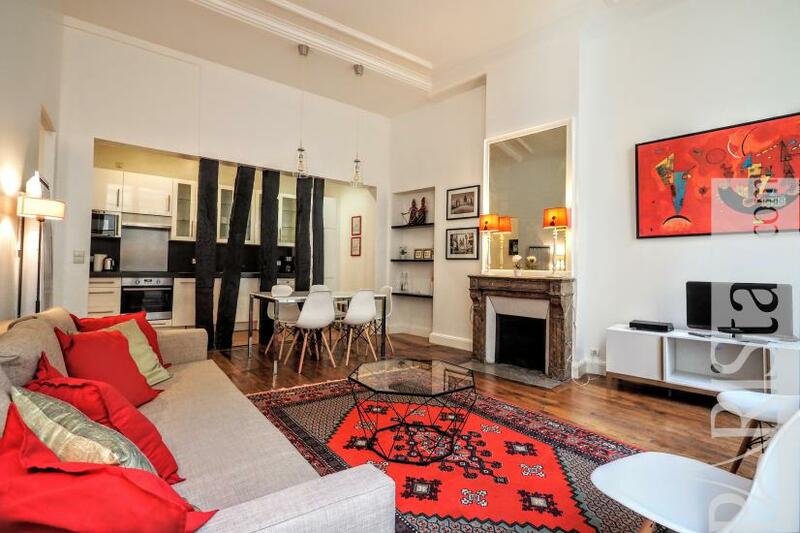 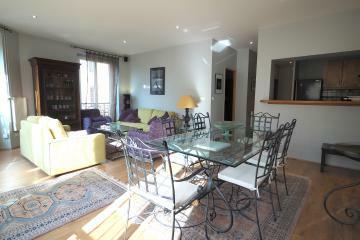 Astonishing Paris 2 bedroom apartment rental perfectly located near le Louvre in the elegant1st arrondissement. 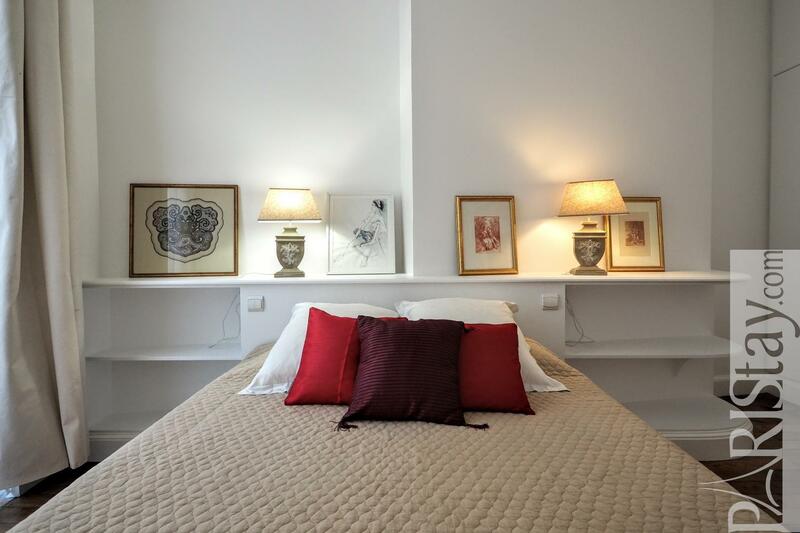 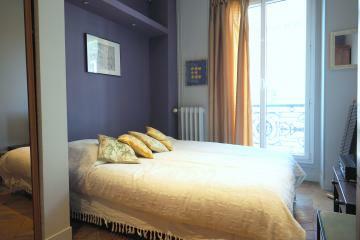 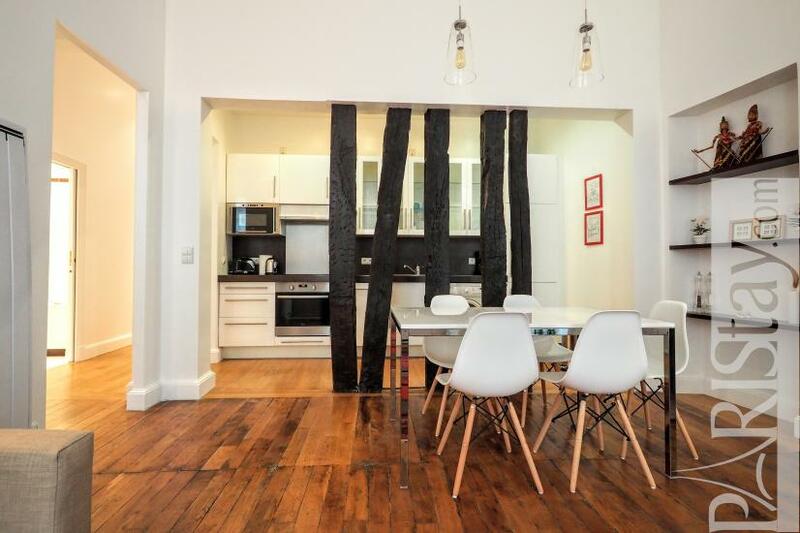 Hard to find a better place if you need a central stay in Paris with your family or friends! 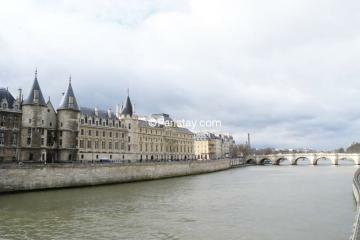 The Louvre museum is at 2 mn walking. The amazing Palais Royal, Place des Victoire and the lively Montorgueil area are at 5 mn. 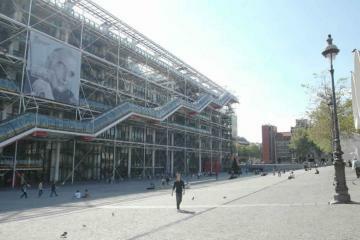 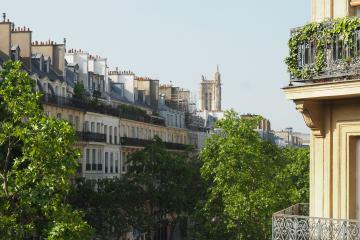 The famous Saint Germain des Prés district is at 15mn walking, by crossing the river (Pont des Arts)... 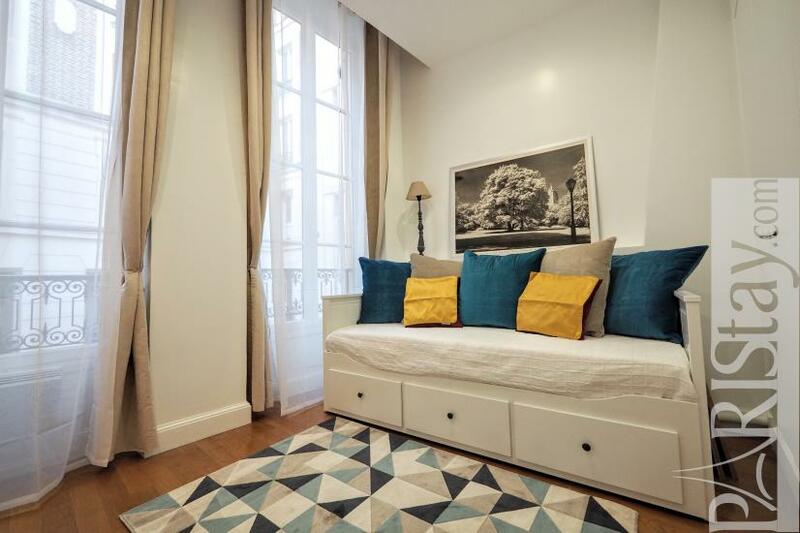 This is a very pleasant and convenient area in the best historical Paris where you'll live like a parisian, enjoying all the services offered around : various shops, food shops, metro n°1 and bus n°72, trendy bars and restaurants... 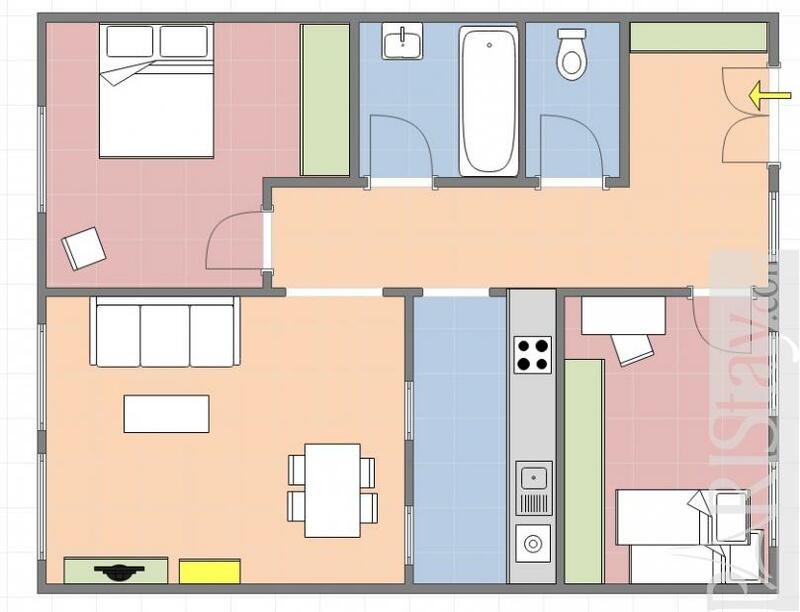 The apartment is situated in a typical building, on the 2nd floor with no lift. 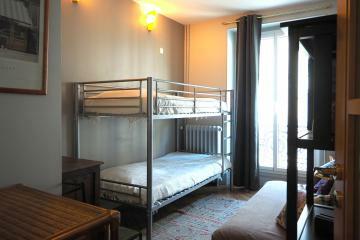 It is spacious, bright, very quiet, fully equipped with quality equipment and furniture. 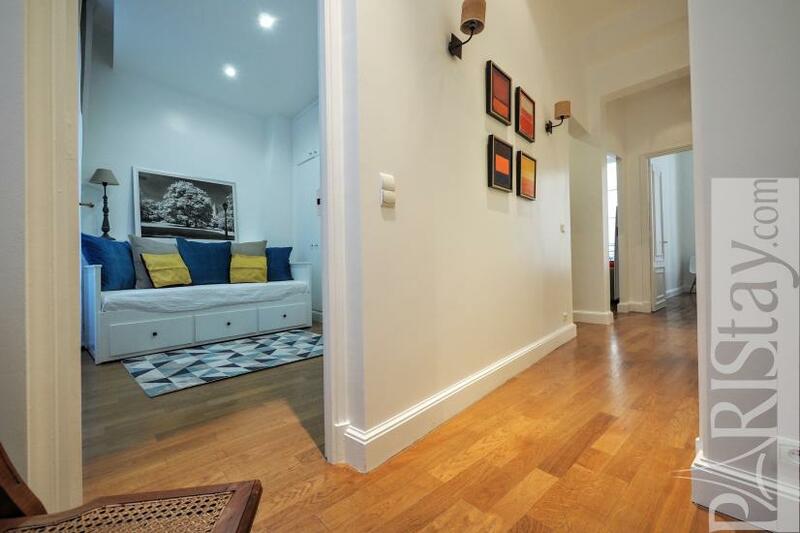 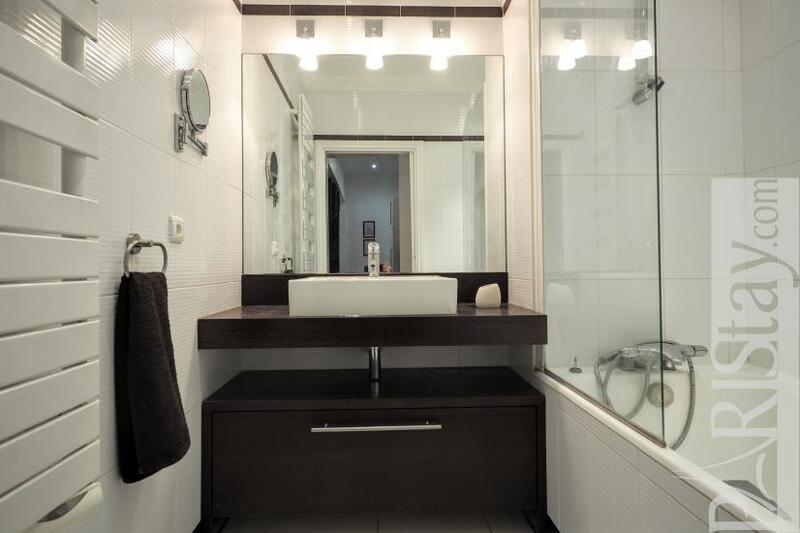 It has been totally renovated and tastefully decorated in a design-zen spirit. Please note second bedroom offers bunked beds. 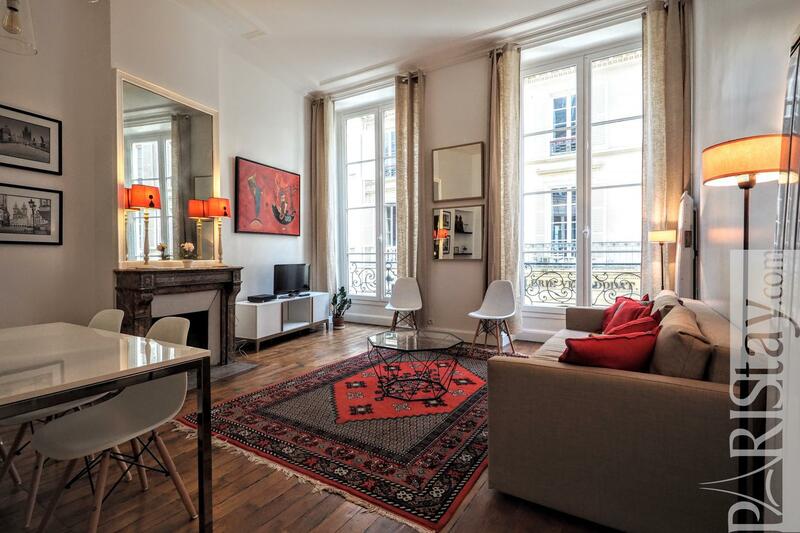 Perfect for your next long stay in Paris. 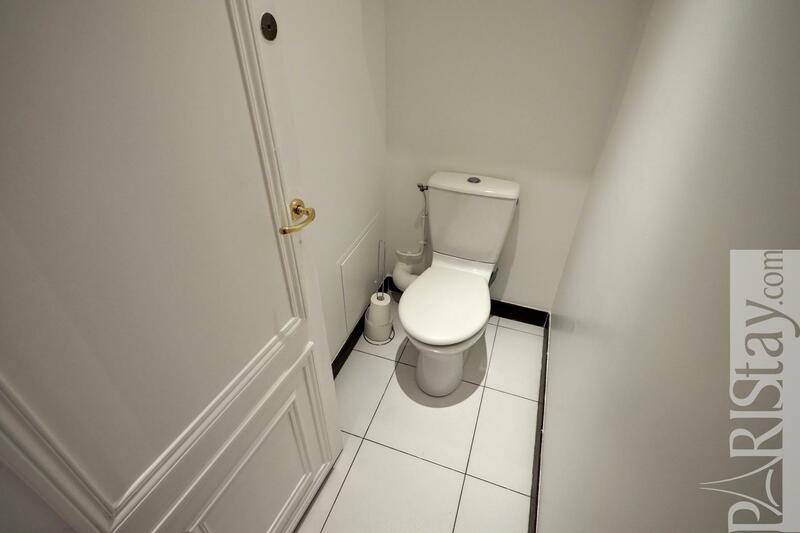 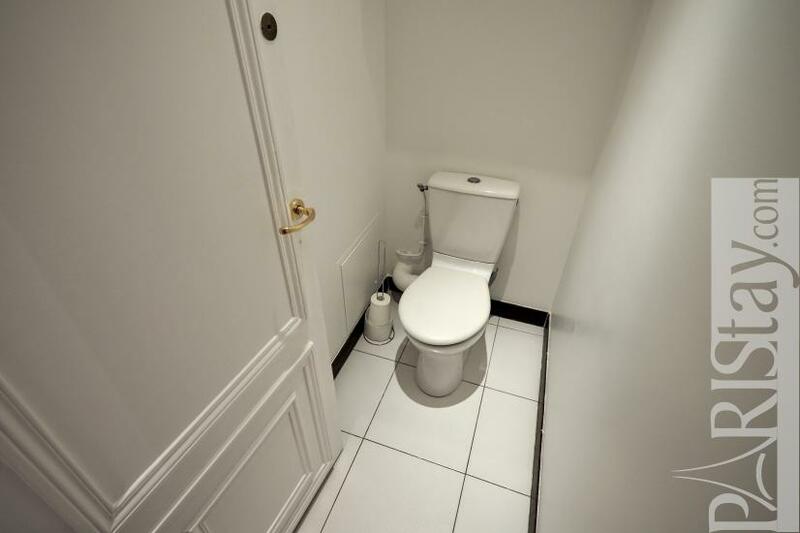 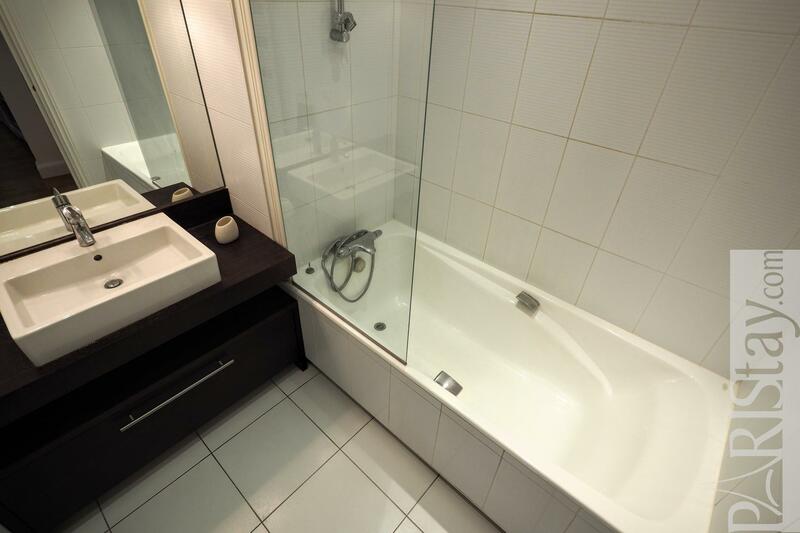 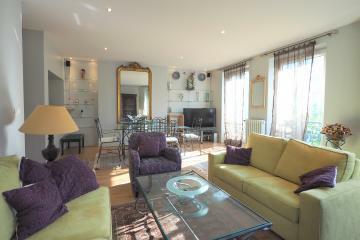 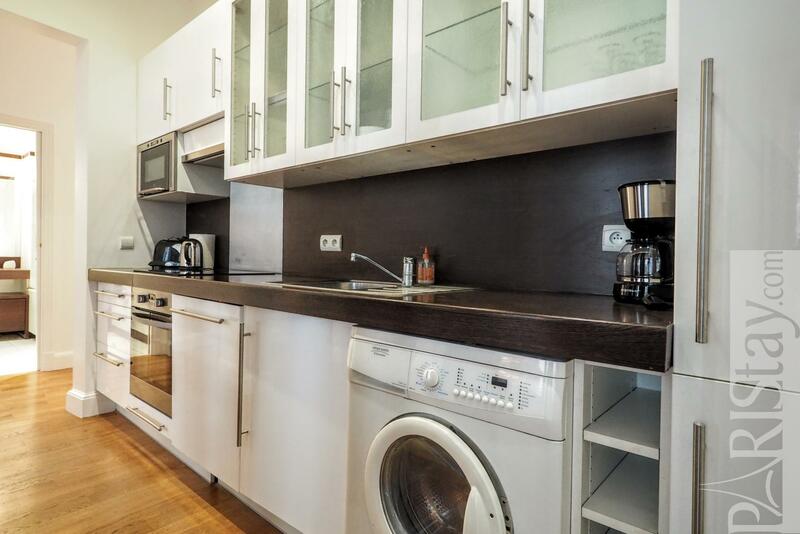 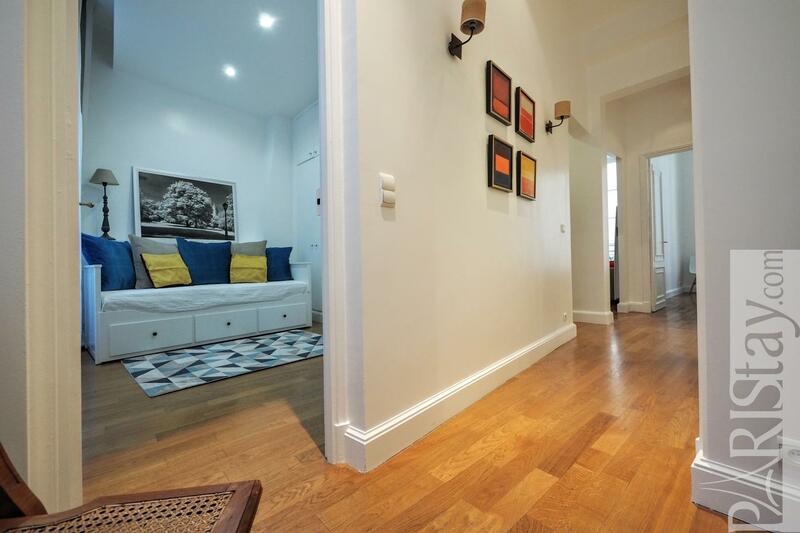 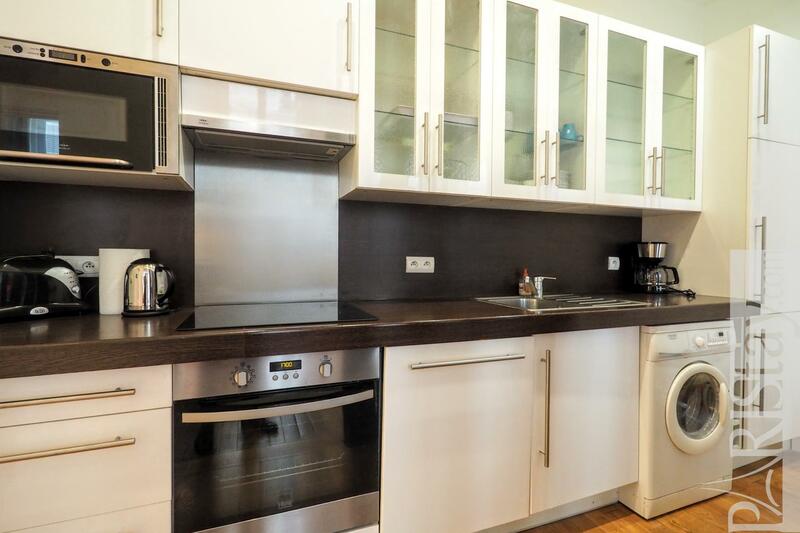 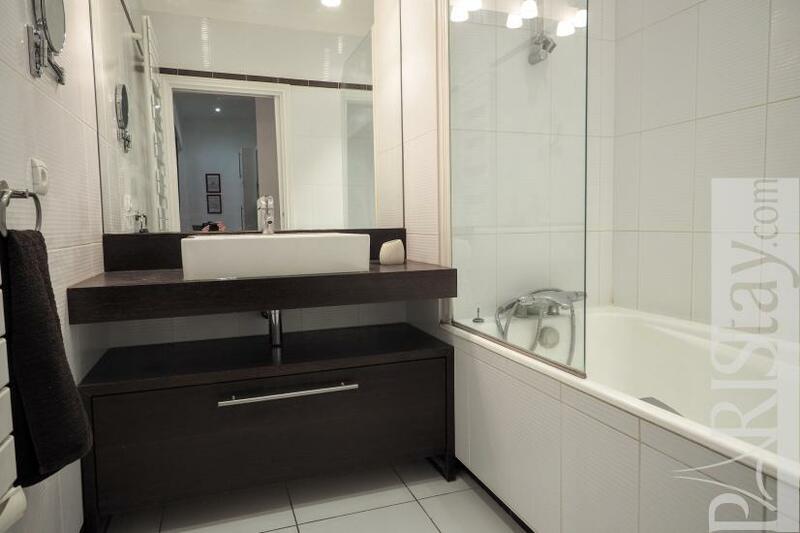 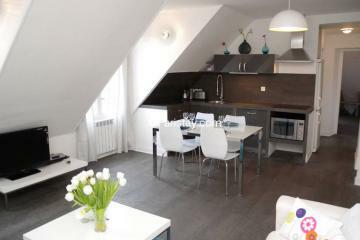 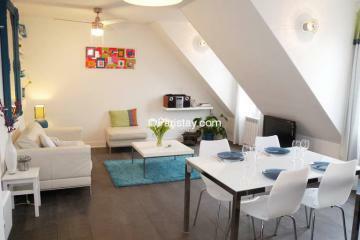 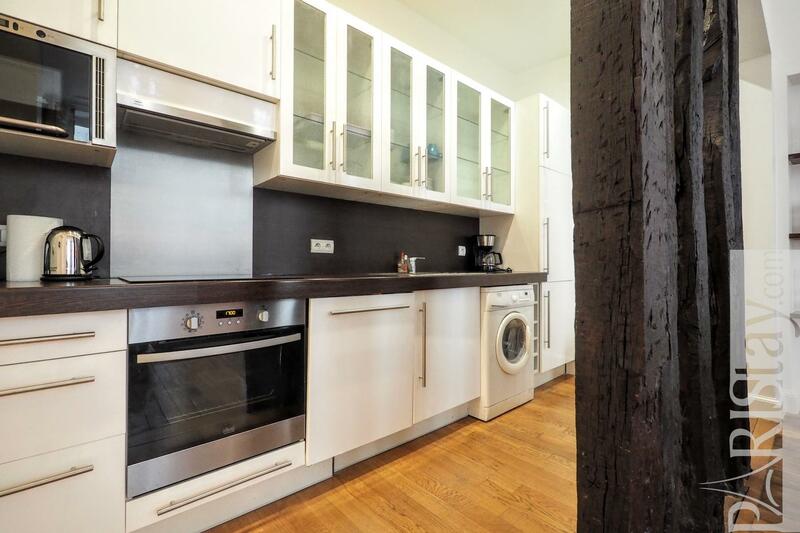 2 nd floor, without Lift, entry code security system, 2 bedrooms Appartement, furnished, Approx: 80m² / 860 Sq.Ft.